I hope you all had a wonderful weekend!! This dress is definitely one of my favorite things I picked up from the Nordstrom Anniversary Sale! 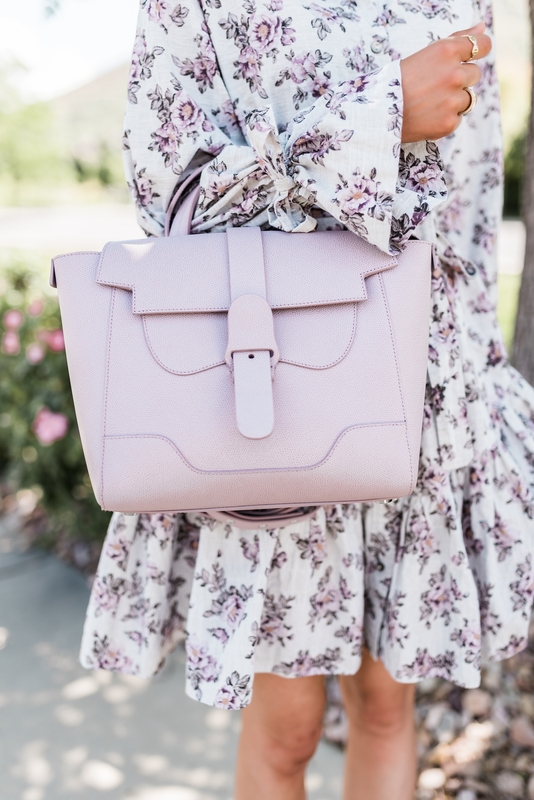 It’s such a pretty summer day dress, and I love the soft lavender color. Get it while you can before it sells out!! Early Access for the Nords Anni Sale ends Thursday, the sale open to the public on Friday! And there are SO many amazing pieces this year so if you have your eye on something, act fast! You can shop my entire look in the widget below. Lavender is such a cute colour for all seasons to wear … love ♥️it! ???? It really is!!! It has been one of my favorite colors to wear this summer!!! I love those bow sandals. They are just darling! I love lavender this year, its so pretty and traNsitions so well into fall. Thank you so much!!! I’m excited to wear this dress in the fall too!!! That dress and those sandals are so cute! gosh i looooove this dress on you!!!! favorite thing you’ve posted that you got from the nsale by far!! and i’ve been in such a lavender mood lately, this is just heavenly all around. <3 xoxo! You are so sweet!!! This was one of my favorites from the sale!!! I love that I can wear it now but it will also be perfect in the fall!!! This rebecca taylor dress is darling!! I love this whole look, but those sandals are THE cutest! They are so cute!!! I think they really complete this look!!! Beautiful dress I love it!? It is so beautiful!!! I love that I can wear it for summer and fall!!!! This is such a feminine pretty look. Thank you so much!!! I’m obsessed with Lavender lately!! It is such a feminine and elegant color!!! What a beautiful dress! Superb! I am so in love with this dress! You look stunning in it! I hope you don’t mind me asking, but what size are you wearing for reference? I am between sizes and trying to figure out if i should ordee up or down. :) Thank you!! !